We all know how hard it is to find a night when your immediate family is in town just to have a family dinner. With organized sports going year-round, committee meetings and just trying to get some grocery shopping done, there is very little time left in your average week. That’s why planning family reunions in Door County can seem even more daunting. Fortunately, it doesn’t have to be that difficult. With the help of Ephraim Shores Resort’s friendly staff and a few tools and tricks, even your most unorganized party planner can seem like a seasoned professional. Choose a date – Getting the gang together requires a way to figure out schedules. For this seemingly impossible task, we recommend using an online schedule checker like Doodle. You can put a bunch of dates in and send out a link for your guests to select their availability. 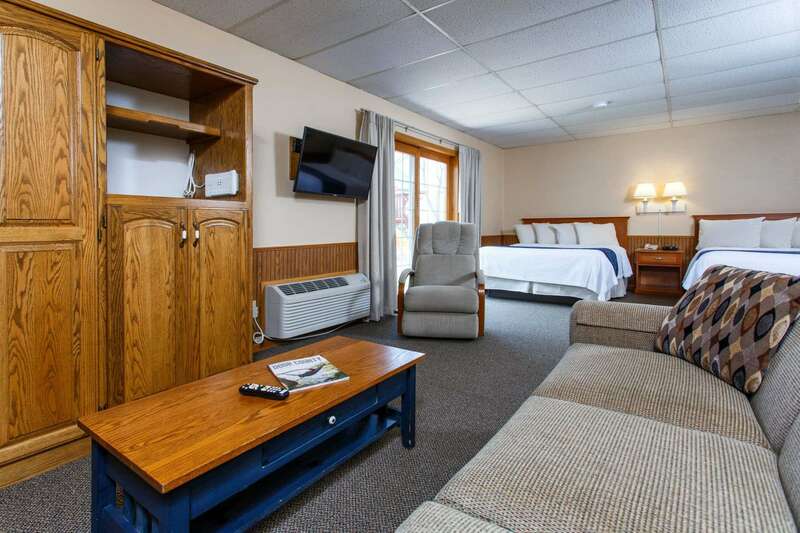 Pick a location – You want to stay away from random door county vacation rentals and go right to a resort like Ephraim Shores that can help you book blocks of rooms. As a family-friendly resort with plenty of amenities, there is something for all ages. Invitations – Once you have a date and a location, send out a formal invitation. Since it is family, make it fun and personal. A great way to send out a fun invitation is through Evite or Facebook. Food planning – If you don’t want to have everyone bring a green bean casserole, we recommend using a planning website like SignUpGenius to make sure everything gets added to a list and someone is responsible for it. Tours and events – There is nothing like exploring Door County and enjoying all it has to offer. Booking a tour or two through Door County Trolley is a great way to get everyone involved together. Photo sharing – By now most people have a Facebook account, so setting up a private group that you can invite your family too is really easy. You can have everyone post photos to it for all to see. So, don’t put off getting the whole extended family together any longer. Having the right tools and the friendly staff at Ephraim Shores at your disposal can make planning fun-filled family reunions in Door County a lot easier.